Are you planning a trip and looking for good Cameras, camping equipment or travel accessories? So here you go, happy reading! Trekking to Kheer Ganga, an adventurous journey into the world of nature’s beauty and serenity. This is an amazing experience and it’s just like traveling to a different world. This trekking experience was full of wonder and excitements and for me the journey to this place was like a few seconds in the serene arms of nature. Everything I saw there was just full of serenity and beauty. Kheer ganga is one of the most refreshing treks that one can go on anywhere. The natural hot water spring experience is just amazing and the trek is very pleasant and offers some exhilarating views. We were 8 friends who have been there together. 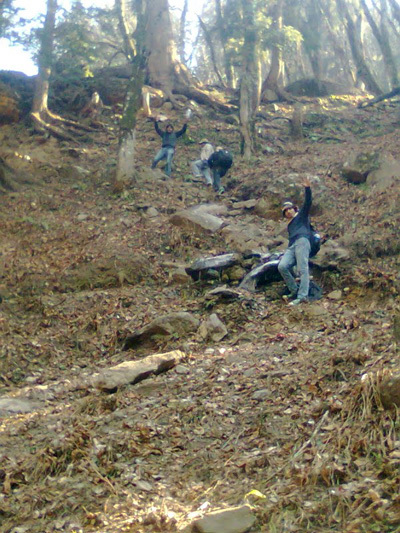 Trekking starts from a place called Barshaini. 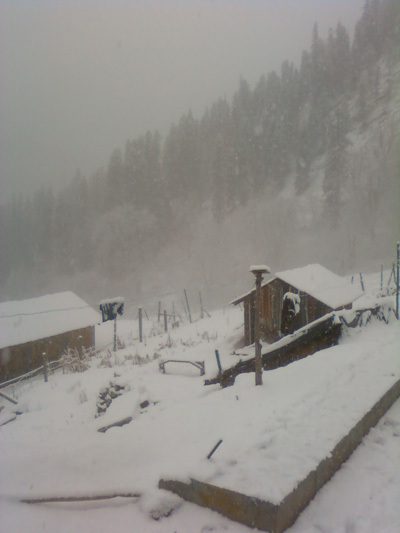 Barshaini is a place in the Kullu district of Himachal Pradesh(India). From Barshaini, one have to do around 12-15 KM of trekking to reach Kheer Ganga. Very few people know about this place and I think only a few have traveled to this part of the world but those who know and have seen it, they call it a magical valley. It’s really a fun and full of excitement if you go to a some place you don’t know how exactly it will be and then discovering that place and feeling like you’re in a different world, and the only word comes out from your mouth is just “wow”. It was the first week of February, winter season in northern part of India and Himachal Pradesh is one the coldest part of India with its snowfall and high range mountains. At 11 AM in the morning, we all friends reached Barshaini. It was pretty cold as the temperature might be less than 10 degrees Celsius, and therefore we have to wear jackets and all other things to save ourselves from cold. Then we all together started moving towards kheer ganga. After trekking for 3 KM from Barshaini, little tired we reached Nakthun. It’s a small village on the way to kheer ganga. This village offers a place for the trekkers where you can get delicious food cheaper than its in nearby places and believe it or not here in Nakthun, there’s even a pool table(made by the local people with woods) thrown out in the open where you’ll find local kids from the village enjoying their time. Travelers can also get a room in the beautiful wooden cottage and a few steps ahead from this village is a Rudra Naag temple and a waterfall. The feeling at that moment when we reached the Rudra Naag temple and saw the beauty around and the waterfalls was like we are in a different world. At that place, all one could see is just a dense jungle and huge mountains all around. Looking at the nature’s beauty, I realized that we live in a world where we are surrounded by the walls, building and all the other things like road traffic, crowded places etc etc but there is another beautiful world behind those walls and I was experiencing that world in Kheer Ganga. After crossing Nakthun, the real adventure begins, I must say the extreme adventure of my life. Now after reaching Nakthun, it was almost 2-3 hours trek to Kheer ganga and there are 2 ways to go there, one which is safer but long path and another one is comparatively shorter path but a dangerous one. We took the shorter path, the dangerous one. To be frank, I had no idea how dangerous it would be to choose the shorter path and I think none of my friend knew that too. We were just cheerful and excited to be there. As we entered the jungle area the view gets more and more beautiful. There was so much peace and natural beauty all around. 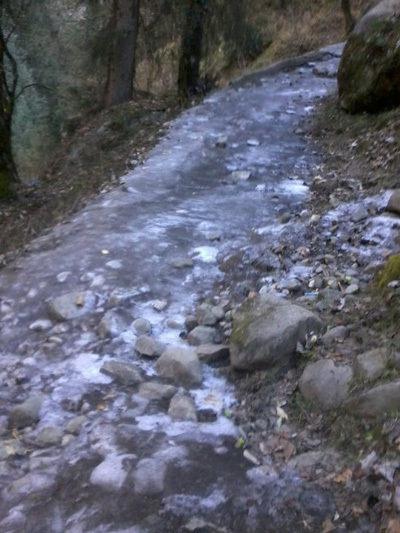 As we were getting closer to Kheer ganga, the path is getting really difficult to travel, it was very slippery, there were frozen waterfalls on the way, slippery frozen ice was on the narrow paths. Steep slopes on one side and huge rocks on the other, there was hardly the place to walk. 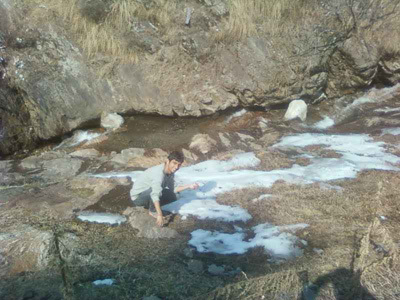 At the time we went to Kheer ganga, there was fresh snowfall all the way and so it was very difficult for us to walk there at that time. The slopes on our one side were around thousands of feet down and we know that a single mistake could cost our lives. So we were very cautious while putting our feet on ground. All the way long flows a waterfall on one side of the path with its full fury and I couldn’t even imagine how cold the water would be in it as it was coming from the glaciers which were not far from that place. The sound of the stream of water was so loud in some places that one could hardly hear each other voices. We needed to cross that waterfall in order to move further. We crossed the waterfall by walking over a wooden bridge formed by the local people. Now, the path gets steeper and more steeper, it was getting harder for us to trek and then we saw a scene, we saw a board on a tree with something written on it that a young person fell from this place and lost his life, and that shows how dangerous is that trek. You need to be careful at every step. On our remaining path, we crossed many small and beautiful waterfalls, some of the waterfall were frozen, there was frozen water on the path and narrow slippery paths having beautiful flowers all around and huge trees covering the sky. Jungle was so dense that sunlight was hardly reaching the ground but in spite of all the danger we couldn’t stop ourselves appreciating the beauty of that place. Now, Comes the moment, the moment when we stepped in Kheer Ganga. There was a huge ground, it was totally white washed and surrounded by tall mountains covered with white snow, dense white and blue clouds were floating all around us. I rubbed my eyes, I was just full of wonder after watching that place, what a beauty. It was like I want to pinch myself to see whether I was not dreaming. The place was so peaceful , so pure, and all I think is that it’s the amazement of this area, calmness of this part of the world, the isolation of the habitation, the stunning beauty of the mountains, beautiful wilderness of the pine trees and then snowfall to decorate this place with its whiteness which gives Kheer ganga its charm, its beauty and fills this place with serenity. Far away we could see small 4-5 hut shaped wooden lodges providing shelter for travelers. We went up to the lodges and took a room in a lodge and I heard that the owner of that lodge is a French woman(I am not sure about that). The Nepali man we met there is living at this place from almost 5 five-years and he is taking care of that place. There is no electricity in Kheer ganga and the lights are all run on solar power. There are some extra-ordinary things about this place like there is a hot water string at this place. Two of my friends decided to take hot water bath in that hot water spring. The water is hot because of Sulphur in it and it’s amazing to find a natural hot water spring in these kind of places where usually the temperature remains very low. This place is amazingly beautiful and one can easily spend a day or more here because you can get a lodge, food and other essential things at Kheer ganga, or either you can make your on arrangements by taking your own camping stuff. We stayed there for the whole night, had a very special drink, it was like a black lemon tea. We also had dinner over there provided my a man who stays there. According to my information, I searched some more facts about this place and I came to know that the French lady was living there in Kheer ganga from past 3 years(I am not sure about this information). She left everything from her country and has been living here for no reason, then there’s a Russian man living in the lodge, who was in Kheer ganga from past 2 years and just practicing yoga, a Nepali man who provided us food came from Nepal and was living here from last 5 year and working in Kheer ganga as a guide and provides food and all others things like woods to burn fire, blankets, lodges room, etc to earn his livings. Everything was different and unique about this place that everyone who see this place starts building a bond with Kheer ganga, a bond of peace and love. There is no road connectivity to this place and this is the only reason why the beauty of this place is preserved. We the humans need places like this where nature has not been re-arranged and altered by the hands of humans. Next day, it snowed again in the morning and therefore we had to leave this place because if we didn’t return soon then we could be stuck there because of the heavy snowfall . So we left that place in the morning. And returning back to the Barshaini under that heavy snowfall is something that I couldn’t even explain here, it was extremely difficult for us as the path was already full of snow at the time we were climbing to this place and now after this fresh and heavy snowfall in the morning it was really difficult to see the path even. Now, the path was completely covered with fresh snow. The slopes on our one side were around thousands of feet down and chilled stream of waterfall was flowing in it with its full fury making huge roar, it was like one step wrong and we would be out. Great story. Wonderful photos to illustrate it. Well done. Thankyou! I just love this place. Thank you for visitingmy blog the middle notes. So glad to discover this place, what a journey you shared! Thank you. I’m even more inspired to travel there! Amazing blog and wonderful pics. sounds like a fantastic place to visit! Wow! What an amazing experience! Thank you for sharing all of this and for visiting my blog, too. Travel on! 🙂 Elizabeth B. This sounds like my kind of trek, except for the cold and snow. I’m from Florida. I’d like to do this in summer. Wow…what a journey…I must say that You are so lucky to indulge in the Nature. Great work!! Long may it stay hidden and magical. At the very minimum God expects us to know Him by His creation. This sounds beautiful and serene. Thanks for the journey – some of us cannot travel far from home, and we see the world through the words of others. i am planning to visit kheerganga on 8th nov.
i have been to kheer ganga from the same dangerous route. Amazinggg the whole trek was!! Woow… beautifully written… can not imagine this much snow on the trail… photographs are lovely..
Sure! You and everybody can share my blog anywhere on the internet unless you and they share it with the link of the blog/post. Thanks for the thumbs up, Garima! Lovely place and nicely expressed !& Thankyou for visiting my blog! Hi Vikas. Really awesome blog! Can I go to Kheer Ganga and explore it fairly well if I have 3 days? I have 3 days in the coming weekend.. 13th, 14th,15th. Will leave on Thursday. If it’s enough, then what about food, lodging, etc?? My idea is to get away from people here and spend time alone in nature. I’d prefer to go to a place where there is a river since I love rivers..therefore KG attracts me. Are there any other places that I can go to for a 3-days trip? I don’t know about how’s the weather there at the moment but it’s raining in northern part of the country since last week, it could be difficult to reach KG under snowfall or if there has been heavy snowfall in few days back as it would make difficult to tread on trek. I suggest to wait for next month or do some research to know about the weather at the moment. You can go to manikaran, kasol, Tosh, manali, solang valley.. these all places are nearby to KG and there are numerous of treks around all these places. Solo trekking I don’t suggest if you’re going to KG first time. Hey You know what bro i also went in oct’15 with two friends and its just so true that kheerganga calls for the second time.. i love that place.. and i am goin again next week. Awesome experience and images! Thanks for sharing. hello! great post and lovely photographs. It’s a moderate trek, not that difficult if weather is all clear. There is no problem visiting KG in May but should bring woolen as weather could be cold during evening. You can do Kheerganga trek on your own. hey there! nice blog…. i am planning to go to KG. Can you please tell me how much time did it take to reach KG from barsheni ? Around 4 hours, its around 11-12 km from Barshaini. Thanks for the info…. Actually we are going to set up a cottage for Forest Department and we’ll have to carry all the stuff from barsheni to KG. Thanks for sharing all the pics and the info buddy. I have been wanting to go to KG for more than 2 years now. And though I am leaving for 4th trip to PV tomorrow, I won’t be able to go there this time as well cuz I am traveling solo. What I wanted to know was that is it a good idea to just trek till Kalga and spend the night there? Are there cafes and lodges tbere in Kalga? I have loved going to Tosh and this time I will be visiting Pulga surely so wonder if I should club Kalga in? Kalga, Tosh, Pulga and KG all are nearby. Yes, you can get accomodation in Kalga and it’s a beautiful place to spend some time there. But if you have been wanting to go to KG for more than 2 years then I suggest go for it, ask locals for the easier route to reach KG from Kalga. Have a nice time. Which month did you do the trek in? Any idea if it will be snowing end of November. Me and a friend and planning to camp there coming weekend. 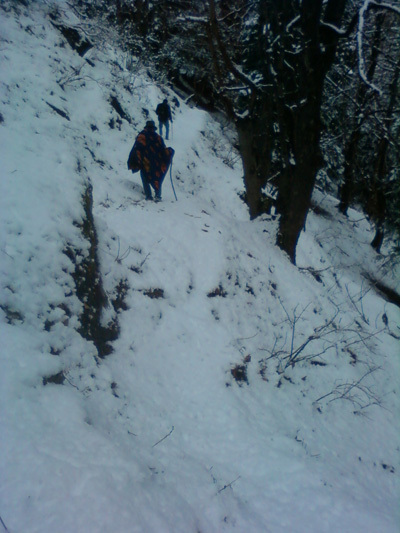 It was the month of feb.
KG trek is not risky but it’s just about weather condition. 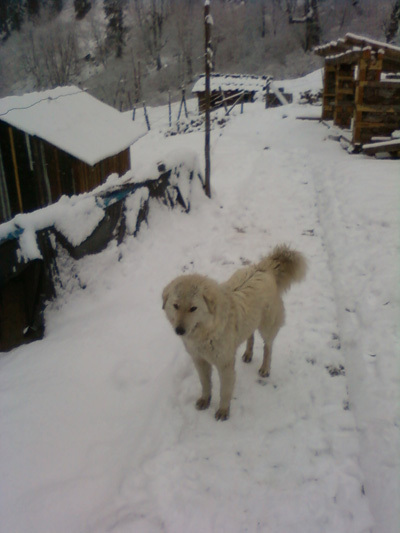 Feb is the month of snowfall, and under snowfall it’s not easy to trek. Accommodation will be available there, though I’m not sure about guides, locals can help you in this regard. Hey that is a beautifully detailed article. Thank you for sharing it. It is very resourceful as im planning to visit Kheer ganga soon. I will be driving down to Kasol from Delhi with my wife and 4 yrs old daughter on 23rd March 2016. We want to trek to Kheerganga. How much kms is the longer and safer route? Is it steeper at places ? I can carry my daughter if required. Would be around 2KM of difference. Yes, it is steeper at places, but it’s a moderate trek. Only thing which makes it difficult is snow otherwise it’s a moderate trek. It seems to be a very beautiful and natural place worth for a visit. We are a group of about 4-6 people planning to visit near around 14 or 15 March. So can you tell us some decent Lodge as well as fooding place where we can go. Hello, I intend to go here this summer and I’d like to know if it is easy to trek to Kheer Ganga without a guide, like would we be able to understand which route to follow and the path etc. I am planing to go there in next week so any information about trek route will be very helpful..
Hi Vikas, I am going to kheerganga with my girls only on 28. I hope its safe for only females to trek and I hope that this trek can be completed in 3 days. 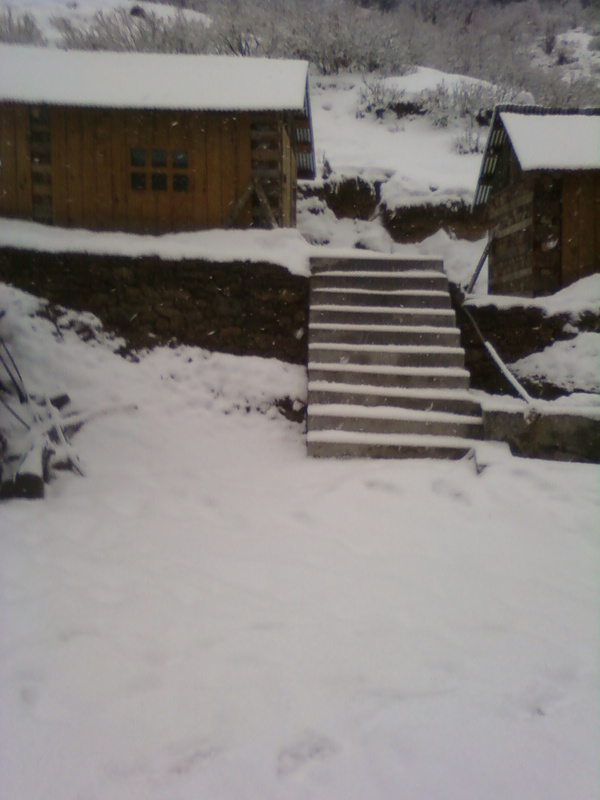 Plz suggest where we can stay in kalga village and in Kheerganga (reasonable). Hi! Aakanksha. Yes, one can complete this trek in 3 days easily and it’s safe to trek there, rest info you can collect once you reach Kasol. 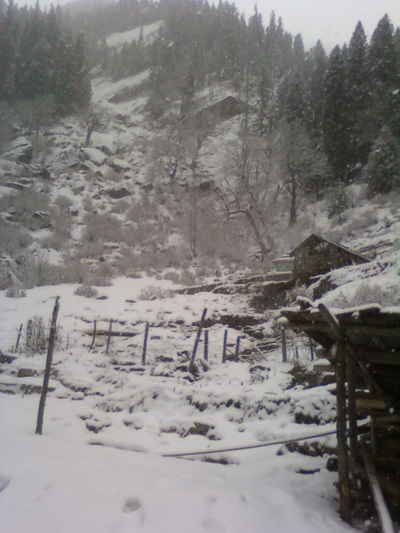 If you’re going there first time then Kasol is the first place to know all about Kheerganga trek. It’s about organizing treks in Parvati Valley, Kullu & Manali. :- Any query regarding any trek here. :- Accommodation, Guide & Food during Treks. 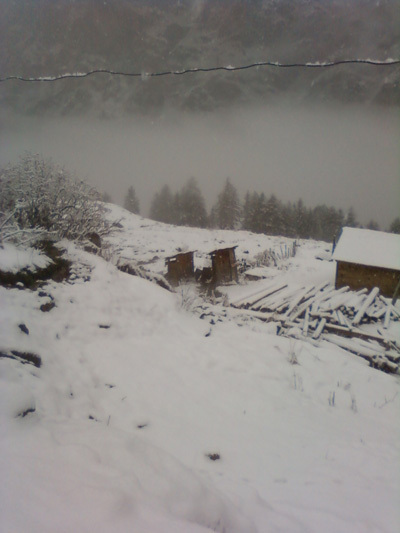 :-Accommodation at Kasol,Tosh,Malana,Manali & Kullu. :- Taxi service from Delhi,Chandigarh to Manali,Kasol,Kullu & return.